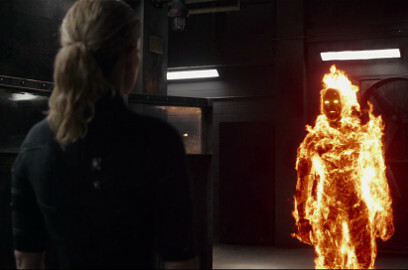 Fox's third attempt at a Fantastic Four movie was dead in the water even before it hit cinemas. A troubled production, and a variable product that even the director slated on Twitter before the release, bad word-of-mouth even before the film had wrapped saw it really get no chance to find an audience. It struggled to reach a $168 million box office, which recouped the film's low $120 million production costs, but in no way would have earned back the budget given towards marketing, to say nothing of the stake of that $168 million that the cinemas would have taken. So, is it as bad as they say? No, not really. In fact, it's even fairly decent, surprisingly so, and it may have been interesting to see the director's cut. But the issue is that it's not a Fantastic Four film. 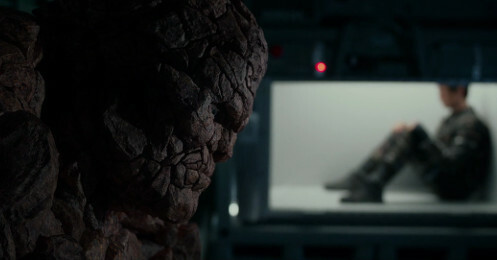 Not only is the movie so embarrassed of its comic book origins that the team isn't even named on-screen, but it's a gritty reconceptualisation of the concept, a darker world where their powers occur as body horror, the Thing kills men in wars, and the phrase "it's Clobberin' Time!" isn't a joyful expression of awed violence, but a reclamation of the words of domestic abuse. If you're able to accept that this is a very different take on the team, and not really a faithful adaptation of the Lee-Kirby years, then you may have a decent enough time with it. If you're not, then, well... it's definitely not the film for you. Yet for a comic book movie there's some thought gone into events, with generally intriguing moral questions (including the FF being used as military weapons) and some nice touches of body horror that earn the movie its 12A certificate. Michael B Jordan's casting caused some controversy, and I think it's fair enough for people to question why the characters in this film don't resemble those in the comics without accusations of racial prejudice. That said, he gives one of the most striking performances in the film, along with Miles Teller as Reed Richards. Kate Mara is largely forgettable as Sue Storm, though faring worst is Jamie Bell as the Ever Lovin' Bl... brown... Eyed Thing. 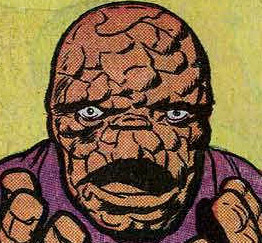 While Bell's physicality looks odd for the part of a heavy like Ben Grimm, the fact that he gets nothing to do in the movie is what harms it most, his characterisation as absent as his genitalia. And here's what it comes down to: it doesn't really matter that there's no great payoff as that wasn't the movie that Trank was trying to tell. This definitely isn't a recreation of the source material – the FF are teenagers here, for one – but as an alternate exploration of the characters, it can be rewarding if you buy into it. But no, what really harms the film is that the foursome have no chemistry with one another, and no reason for being together. Some of the various combinations work better than others, but we're given no reason to suspect that Reed and Ben are really friends, or why they should be. With a relatively brief 100 minute running time, a few of the (obvious) reshoots could have been dedicated towards beefing up Bell's part... instead we just get Mara delivering exposition in an obvious wig to disguise her post-filming bob cut. With the vast majority of the runtime being dedicated to the origin story, then it probably won't lend itself to repeat viewings, but as a single, one-time-only experience, this wasn't so bad. There's precious little reason to want to see a sequel, or less reason why they'd make one, but there's definitely worse movies out there.